Only two days after Céline launched its campaign with Didion, Saint Laurent released an advertisement with 71-year-old singer Joni Mitchell. Within no time, other brands were starting to incorporate older women into their campaigns. For example, Kate Spade debuted a set of ads featuring Karlie Kloss and 93-year-old fashion legend Iris Apfel, and L’Oréal Paris announced that 60-year-old Twiggy would be its next spokesperson, alongside Helen Mirren, 69. Even American Apparel included a 62-year-old model in a campaign, even though the brand is often known for using controversially young models. While some worry that this will isolate younger consumers, many brands aren’t worried, since millennials are beginning to admire older women for their style, including adopting their gray-hued tresses—Kylie Jenner and Kelly Osbourne are just a few celebs who have dyed their hair gray, or as they would probably call it a "trendy silver." But alas, as the novelty of seeing older women in advertising wears off, and 60+ women become standard in hip fashion campaigns, we will probably see a quick turn back to 15-year-old models. Sigh. 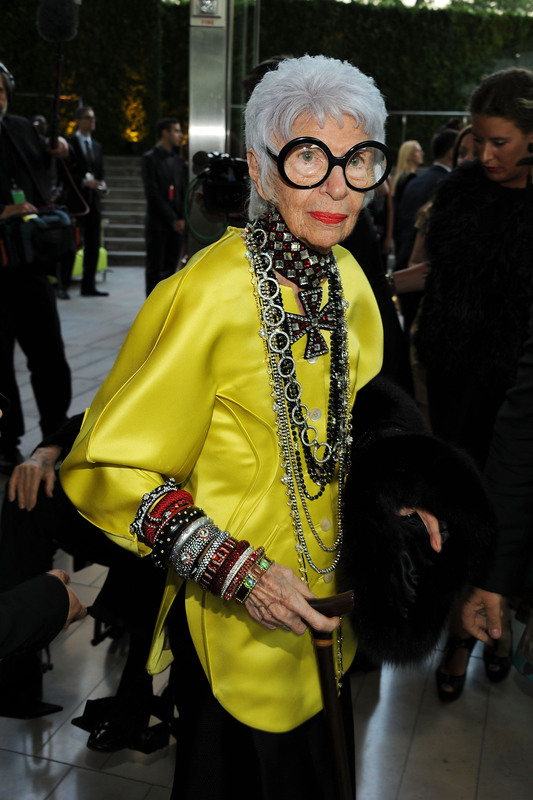 Until then, let's all revel in this glorious moment and celebrate the era of the uber fashionable senior style icon.